Peter Beagle, or rather his work, as he is not a “thing” but a living author. I would probably like him as a person aside from said work, but we’ve never met and at this rate we’re likely never going to do so. I haven’t been to a convention since World Fantasy in Austin, lo these several years ago. Peter Beagle was there, so I did get to hear him read, which was a treat. Frankly, I’ve never read a Peter Beagle story I didn’t like, and the ones I love, I love a lot. Of course, you can’t discuss Beagle without a mention of The Last Unicorn, the story of a greedy king who imprisons all the unicorns in the world for his own enjoyment, except one, and Schmendrick, the walking trainwreck of a wizard and the world-worn former young maiden Molly Grue who attempt to aid that unicorn on her quest to find and free the others. It’s a novel, and extended metaphor, and a deserved classic. If you think you wouldn’t like this just from my description, you’re only hurting yourself. While I’m on his early work, there is a couple more I should mention because they don’t come up as often. The first is A Fine and Private Place, Beagle’s debut novel. The title, obviously, is from the 17th century poet Andrew Marvell’s “To His Coy Mistress,” (“The grave’s a fine and private place, but none, I think, do there embrace…”) Most of us sat through this in English Literature, but I can almost hear the wheels turning in Beagle’s head “Oh yeah?” And so, A Fine and Private Place, with not one but two sets of lovers and potential lovers, on this side of the grave and on the other, written, so the story goes, when the author was only nineteen. So put a sock in it, Marvell. The other is I See By My Outfit, a non-fiction account of Beagle and a friend’s cross-country trip on motor scooters. Rather like On the Road, if it had been done by someone less self-absorbed than Kerouac. Since novels weren’t his primary source of income for most of his career, they tended to be widely spaced. The Folk of the Air and The Innkeeper’s Song. The first revolves around a woman who may be an immigrant goddess and her affect on an organization rather like the Society for Creative Anachronism (SCA). I was a member at the time I read this, probably one reason other than it’s a fun book that it has stuck with me. The Innkeeper’s Song is…well, it’s about a group of former students of a magician trying to help that magician defeat another former student who’s gone power mad, or maybe just mad. They don’t have a chance, of course, but why let that stop them? As with all of Peter Beagle’s work, it’s about a lot of other stuff too, only some of which you’ll probably notice. I know I never get the half of it no matter which book I’m reading, but that’s all right. After somewhat of a hiatus, Beagle re-emerged onto the fantasy scene in a big way just a few years ago, starting with a sort of sequel to The Last Unicorn. The story was “Two Hearts,” a novelette which won both the Hugo and Nebula awards. 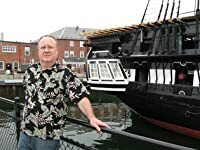 You can find it in The Line Between, which I’ve already talked about here, so I won’t go into that again, but it does bring us around to Beagle’s story collections. 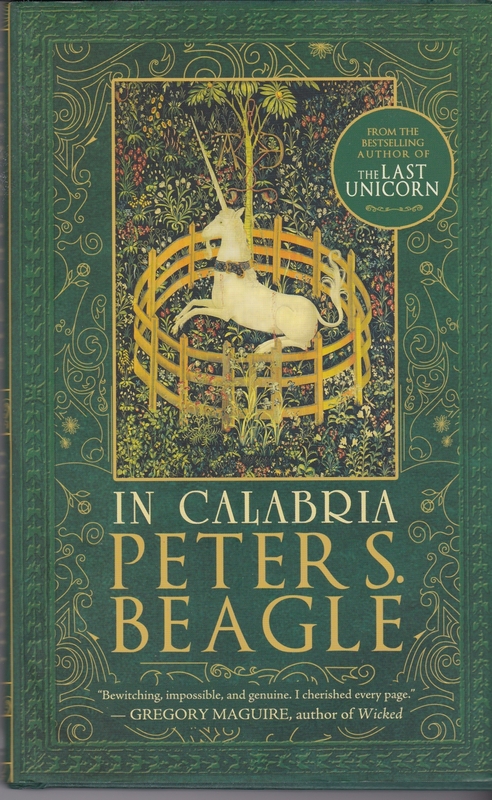 My first Beagle collection, and in some ways still my favorite, is The Fantasy Worlds of Peter Beagle, because it contains two of my all-time favorite novellas by Beagle, “Lila the Werewolf,” and “Come, Lady Death.” In the first, a man discovers that his girlfriend is a werewolf. In another’s hands this might have been a sort of shock/horror thing, but of course Beagle is way too deep a writer for that. It’s what happens after he makes that discovery that’s the interesting part. Likewise “Come, Lady Death,” is about a high society matron who decides that her upcoming ball simply would not be complete without one very special guest, Death. So she devises a perfectly logical but callous way to invite said august personage. If you’re expecting the result to be Beagle’s take on “The Masque of the Red Death,” think again. And yet it manages to be both beautiful and horrifying anyway. Full props. Really, you can’t go wrong with a Beagle collection. There’s The Rhinoceros Who Quoted Nietzsche and Other Odd Acquaintances, which I talked about here, and We Never Talk About My Brother, any of which would be a good place to start. I’m not sure there is a wrong place. If you haven’t already, just start.